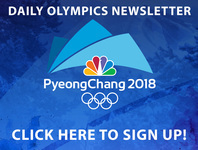 The United States Olympic Alpine skiing team was announced on Wednesday. The 22 person team is headlined by Lindsey Vonn, Mikaela Shriffin, Ted Ligety and Andrew Weibrecht. Vonn, the winningest ski racer of all-time said she was thrilled to return for her fourth Olympics after missing the 2014 games in Sochi with an injury. "I've been waiting for these games since I was injured," she said. "I'm very proud to represent America, I'm proud to be on this team with so many amazing athletes, and I look forward to competing." Eight other women will join Vonn on the slopes in PyeongChang, including Shriffin, who is one of the most dominant athletes in the sport today. Last season, she took hope the FIS Ski World Cup title and is the current leader in the standings this season. But the most impressive thing about Shriffin is she's only 22 and became the youngest woman in U.S.history to win a World Championship and youngest athlete in Olympic history to win a gold medal when she took one home in Sochi at just 18. "This has already been a wonderful season, and going to the Games is almost like the cherry on top of the cake!" Shriffin said. "I’m looking forward to racing against so many incredible competitors on the biggest stage of them all." On the men's side, both Ted Ligety and Steven Nyman are headed to their fourth Olympic games. "It's definitely been a fun journey all these years," Ligety said. "To go from being a rookie back in 2006 to now being in my fourth Olympic games is pretty crazy." Ligety, known as "Mr.GS," missed the 2016-2017 season after undergoing back surgery, but is looking to defend the Olympic gold he earned in Sochi. The men will start their competition on Feb. 11, and the women debut the following day.